In this guide, you’ll find our top espresso maker reviews of the best espresso machines for sale today. We compare espresso machines from budget options to commercial machines. 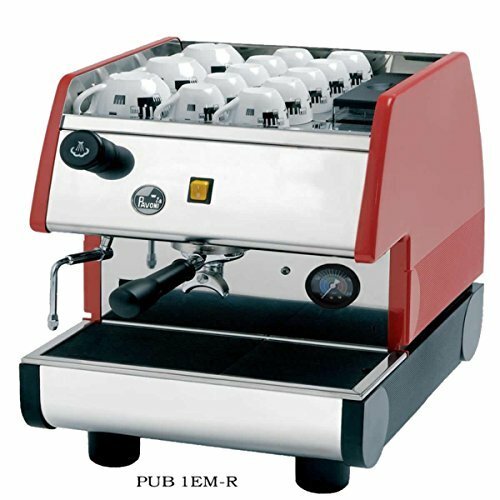 1.1 Why Buy A High End Espresso Machine? 1.3 How Do Espresso Machines Work? 1.4 What are the Different Types of Espresso Machines? 2.2 What is the Best Espresso Machine in the World? Why Buy A High End Espresso Machine? Imagine your favourite café. You order your usual espresso (or latte, or cappuccino) and it’s perfect, with just the right amount of crema. Why can’t espresso at home be this good? Actually, it can. In fact, it can be better than espresso at your local café because you can make it exactly the way you like it every single time. I’ve been a hard-core coffee drinker since I was a teenager and I’ve always liked my caffeine fix strong and dark. But it wasn’t until I moved to Europe, in 2004, I got hooked on espresso. As I travelled from the north to the south, my coffee got stronger, darker, and smaller. In Spain and Italy, my morning espresso was just a shot of pure caffeine-laden goodness – and I became an espresso addict. Despite the prevalence of excellent cafés across the continent, my European friends and neighbours were shelling out significant cash to have a high-end espresso machine in their home. I thought they were crazy to spend that kind of money on a new espresso machine. Fast forward to two years ago when we moved back to Atlantic Canada; my morning coffee options were quickly limited to Tim Horton’s and Starbucks. 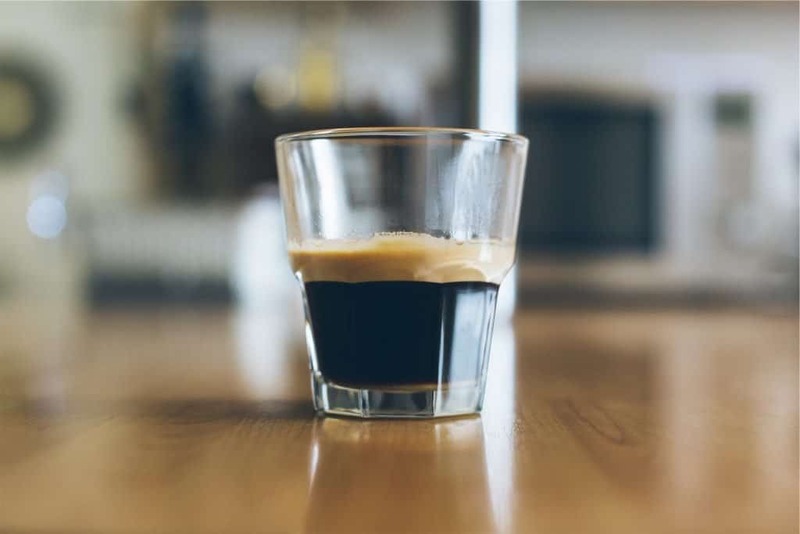 As I found myself shelling out anywhere from five to seven dollars or more for a drinkable (but not much more) caffeinated beverage, I started seeing the wisdom in owning my own top quality espresso machine. So I began to research the best espresso machines for home use, and now you get to benefit from my hours of scouring the internet. I’ll be honest; it seems like there are thousands of different espresso machines for sale on Amazon, in a huge range of prices. Although it can be overwhelming, all this choice is a good thing because it means there is a perfect espresso machine out there just for you. 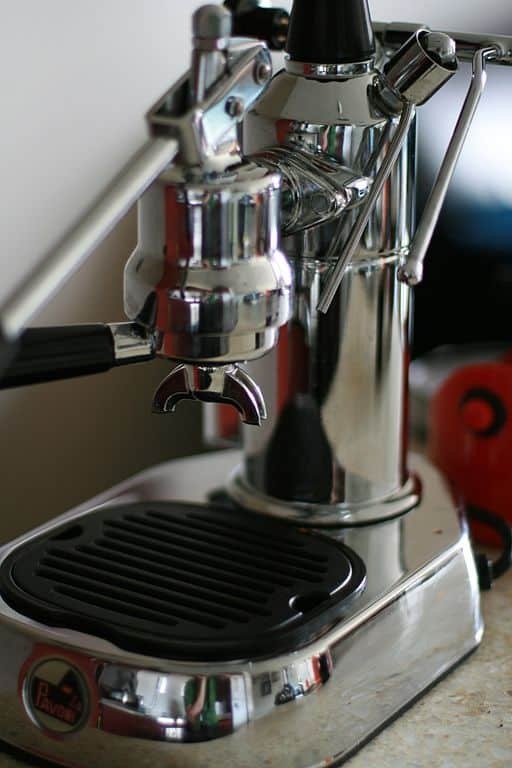 Before I dive into my espresso maker reviews, I want to give you a few things to think about so you can choose the best espresso machine for you. What is your espresso maker budget? Do you only want to make espresso at home or will you make cappuccino and lattes too? Do you want an easy espresso machine that will take care of everything for you or do you want the total control over your brew a manual machine will offer? How much counter space can you sacrifice? Do you want the best compact espresso machine you can afford or should your machine be a conversation piece itself? Do you have a preferred North American brand or do you want a real Italian espresso maker? It’s not necessary to answer each question now, but keep them in mind as you read through the rest of this buying guide. 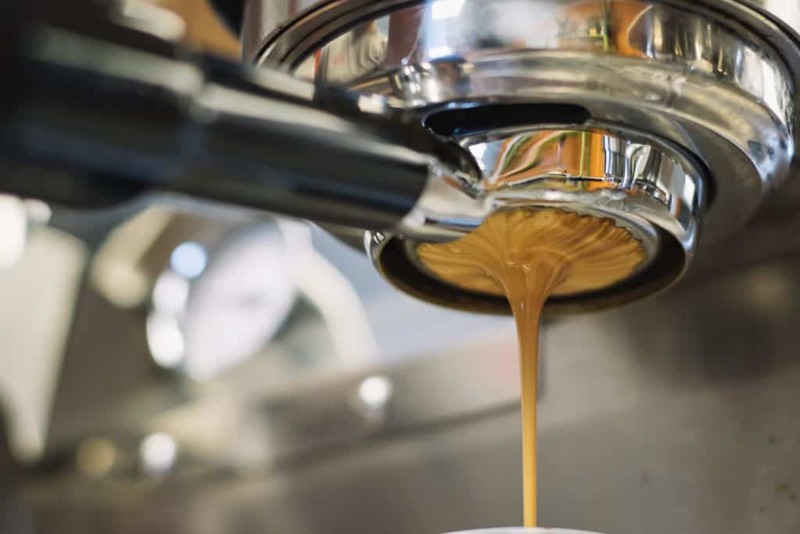 Essentially, an espresso machine forces pressurised water, near the boiling point, through a ‘puck’ of ground coffee producing a thick, rich beverage with a higher concentration of coffee solids than brewing in other ways. What are the Different Types of Espresso Machines? As the name suggests, you pump a lever by hand to make the espresso without any electricity needed. How easy or difficult lever machines are to operate varies, but some espresso aficionados claim this is the only true way to have complete control over your espresso. These are automatic espresso machines that pump water for you, usually electronically. Most household and commercial espresso machines on the market fall into this category. Pump machines vary the most in terms of price, ease of use, and quality of the espresso they brew. The majority of the great espresso machines on our list fall into this category. These devices use the pressure from steam to force water through ground coffee. This was the first automated way to make espresso. These days, steam machines tend to be combined with traditional drip coffee makers. While they are some of the most inexpensive espresso makers, the espresso they make is weaker and less rich than you’ll get from a higher-quality machine. These fully automatic espresso makers use a pod or capsule filled with ground coffee. You simply drop in the pod, press a button, and the machine does the rest. These machines are a good solution if you want a fully automatic, easy to use and clean espresso maker. They are usually the best espresso machine for the office because they are simple to use and there’s no fighting over clean up. This is a bit of a misnomer because these are neither machines (there are no moving parts) nor do they brew real espresso, because the amount of pressure is too low (1.5 bars rather than 9). However, they are affordable, highly portable (we use one in our RV), and make a great cup of coffee. 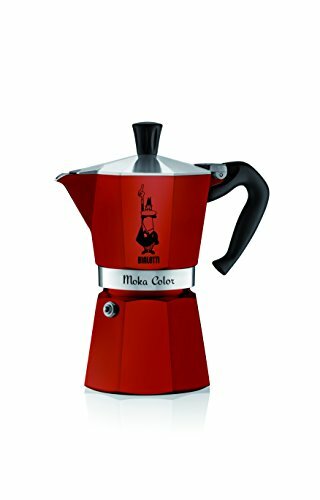 Stovetop espresso makers are also called Moka Pots. Now that you have a handle on the different types, you’re probably wondering which espresso machine to buy. We’ve combed through the best espresso machine brands to compare espresso machines of different styles, price points, and with the full range of features. For a quick overview, check out our espresso machine comparison chart below to see all 20 machines on our list. Read on to find our complete home espresso machine reviews or, if you already know which style of espresso machine you wish to buy, click on our table of contents above to take you right there. (If you’re looking for commercial espresso machine reviews, never fear, you’ll find them at the bottom of this buying guide.) What are you waiting for? It’s time to buy an espresso machine! What is the Best Espresso Machine in the World? You probably think the world’s best espresso machine costs an absolute fortune. What would you say if I said you could buy the best espresso machine under 2000 dollars? How about if I said you could buy the best espresso machine under 1000 dollars? In my opinion, you can. You don’t have to take my word for it though as it was rated ‘the best home espresso machine 2016’ by Business Insider, Coffee Lounge, Digital Trends, and numerous other websites. So what is the best rated espresso machine? The Breville BES870XL was the best espresso machine 2016 had to offer, and it continues to top the charts in 2017. If there’s such a thing as a one-size-fits-all espresso machine, the Barista Express is it. This Breville espresso machine is perfect for beginning at home espresso makers while offering flexibility to espresso aficionados. It includes two dual-wall, pressurised filters ideal for beginners because they regulate pressure and help optimise coffee extraction. Pro users can opt to experiment with the two single-wall, non-pressurized filters. They offer more opportunity to experiment with different grind sizes, grind amounts, and tamping pressure. 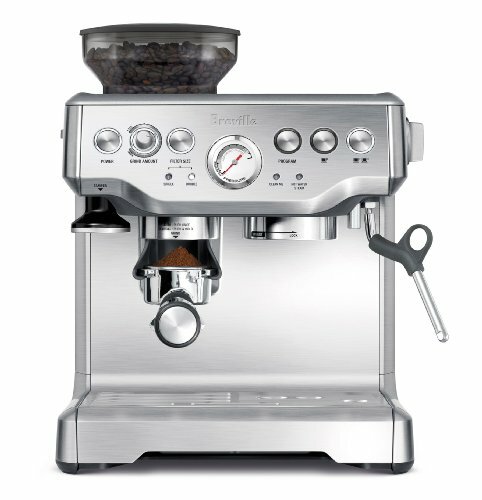 The Breville Barista espresso machine has a built-in burr grinder and a 15 bar pump made in Italy. For a machine this advanced, clean-up is quick and easy. It even tells you when it’s time for a thorough cleaning. 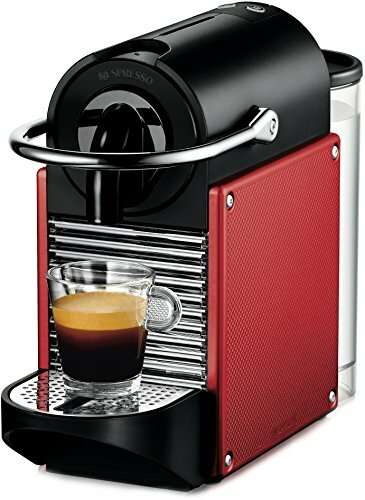 Choose from the sleek stainless steel espresso maker, classic black, or trendy red espresso machine. 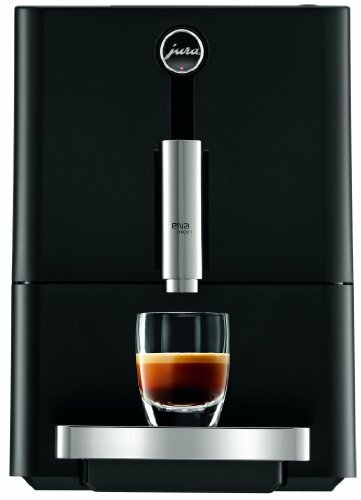 Verdict: If you want an all in one espresso machine that looks beautiful, is affordable, and will transition from beginner to pro user level, this is my top choice for the best personal espresso machine you can buy. Read my detailed review here. My vote for the best affordable espresso machine is Mr. Coffee’s Cafe Barista. If you’re looking for the best inexpensive espresso machine that is also easy to use AND makes cappuccinos and lattes look no further. If you can press a button, you can use this machine. The Cafe Barista has a 15-Bar semi-automatic pump system, with easy to fill water and milk reservoirs. 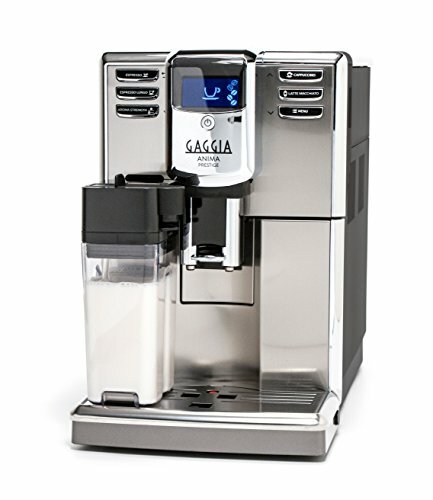 Make an espresso, cappuccino, or latte with the touch of a button, in single or double servings. The automatic milk frother creates the perfect creamy foam for your favourite caffeinated drink. The drip tray is removable for easy clean-up, and the milk reservoir can be refrigerated for future use or cleaned in the dishwasher. Verdict: The Cafe Barista is the best cheap espresso machine that also falls into the easy-to-use category. 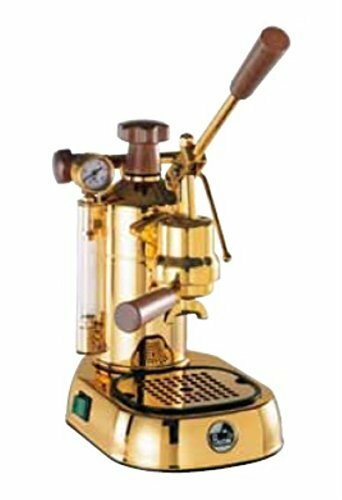 It is the best espresso machine under 200 that is both an espresso and cappuccino machine. If you are on a tight budget and don’t need control over every aspect of your morning espresso, the Cafe Barista is a perfect choice. 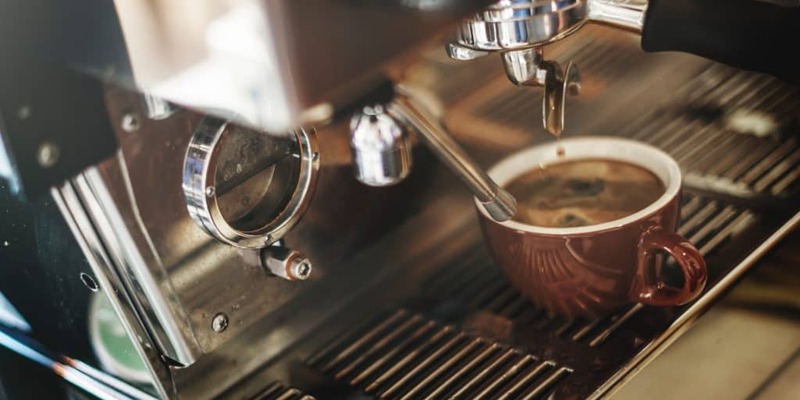 In addition to our best overall espresso machine and our best cheap espresso maker listed above, we’ve rounded up an additional top ten espresso machines so you can find the absolute perfect machine for your needs. We’ve scoured the top espresso machine brands to find all the top rated home espresso machines you could ever hope to choose from. If you want the variety of 17 different caffeinated drinks with the ease of the push of a button, the Krups Barista One Touch is the machine for you. This is simply the best espresso cappuccino machine on the market today, with push button simplicity. Everything about this Krups espresso machine is automatic from the auto-cleaning steam nozzle to the conical metal burr grinder. You’ll barely have to lift a finger to have entirely customised coffee, pre-programed to your exact specifications. You have total control over the quantity of coffee, grinding fineness, and water temperature. The KRUPS EA9010 was granted the Good Housekeeping Seal by the Good Housekeeping Institute. Its beautiful French design will take pride of place on your countertop. 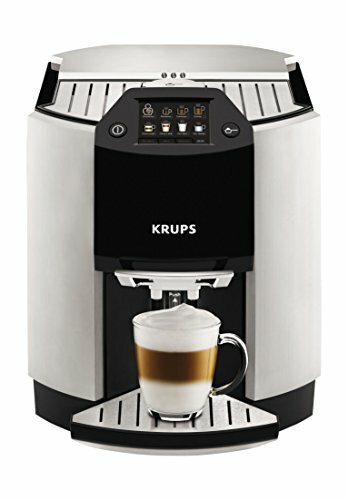 Verdict: If you want the best espresso cappuccino maker at a premium-quality level with one touch simplicity that is still fully customizable, look no further than the Krups EA9010. Read my detailed review here. 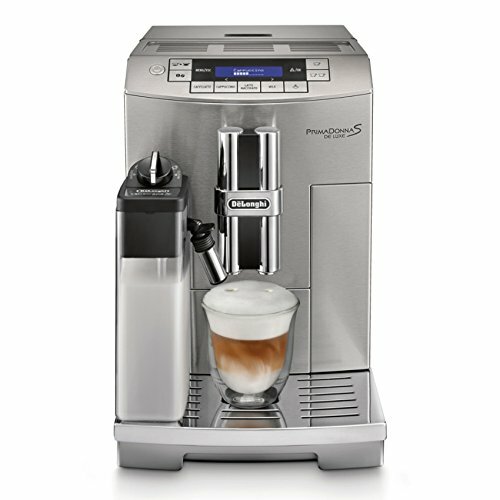 Latte lovers will fall for this Delonghi espresso machine and its fabulous foam. 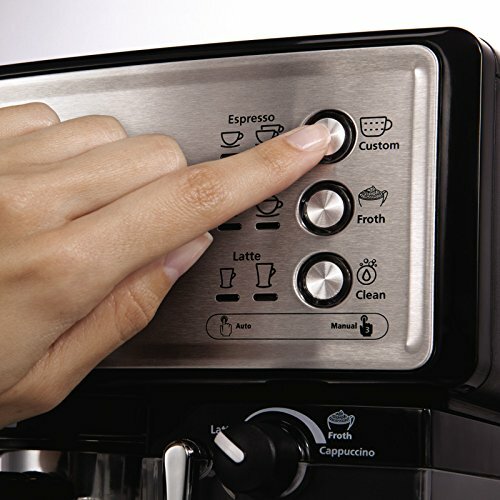 The Delonghi Prima Donna S De Luxe provides consistent brewing at the touch of a button – every single time. 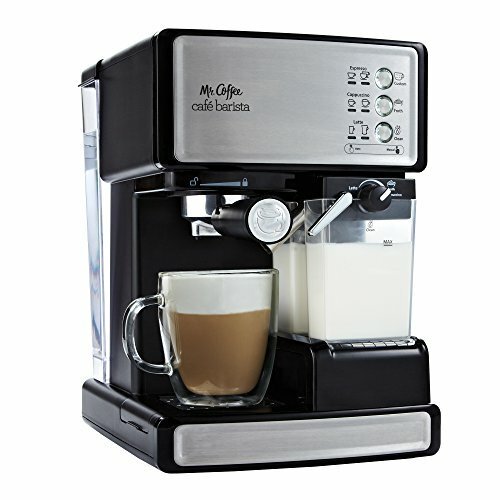 Enjoy barista-quality espresso, cappuccino, and latte drinks at your fingertips. This top of the line DeLonghi espresso maker is fully automatic, including a timer to turn on and shut off your machine when you want, an auto shut-off function, and the ability to adjust the coffee temperature and compensate for water hardness. You can even use the memory function to save five different settings for coffee strength, and four beverage size options for an entirely customised drink. The sleek Italian styling and premium stainless-steel body will look great on your countertop, and you’ll love the energy efficiency and easy clean-up this model provides. Verdict: This is a premium machine with a price to match. However, as DeLonghi makes some of the best Italian espresso machines on the market, you’ll get a top quality machine for your investment. The Prima Donna S De Luxe is all about the foam so if you love your lattes, consider this your new best friend. We don’t all have acres of counter space to sacrifice to our appliances. 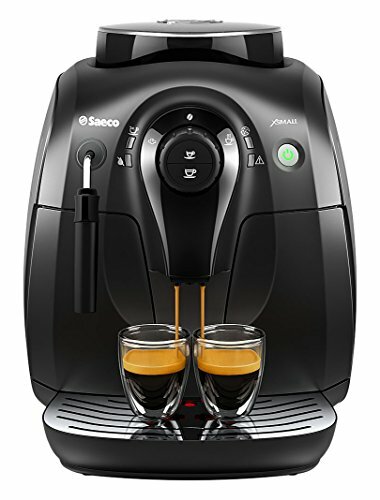 If your kitchen counter has tight quarters, this Saeco espresso machine may be exactly what you need. The Saeco X-Small Vapore is the smallest superautomatic espresso machine on the market, but it doesn’t sacrifice features. You still get all-in-one push-button ease – from the 100% ceramic burr grinders to the pannarello steam wand for perfect milk frothing. Like larger machines, the X-Small Vapore has a memory function allowing you to adjust the grinders and save your brew according to your personal preference. Verdict: If space is a major concern for you, the Saeco HD8645/47 X-Small Vapore is the best small espresso maker on the market for the price in the superautomatic range. Plus, it just looks great! Lavazza is known around the world for their excellent Italian coffee. (It’s the brand I drink at home most often.) 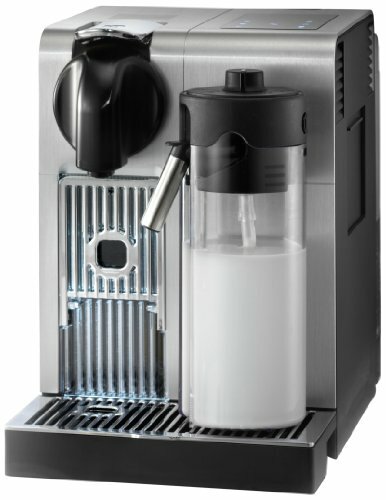 But Lavazza also makes easy to use espresso machines that are great for both home and office environments. What I love about this particular Lavazza espresso machine is it is absolutely gorgeous. I mean, just look at it! You’ll feel like you’re getting your morning caffeine fix at a cafe in Florence. The Matinee has a cafe-style rail cup-holder on top and an easy drop in pod system. You can choose from three pre-set portions or use the steam spout to dilute as needed. The steam wand is also perfect for frothing milk for cappuccinos and lattes. This easy espresso maker is compact and portable but still makes a great conversation piece. Verdict: If form is as important as function to you and you’d like your espresso machine to make a bold statement, let the Lavazza Matinee take centre stage on your countertop. If you’re looking for a good home espresso machine that won’t break the bank this simple espresso machine from Cuisinart may fit the bill. While it can’t compete with the top espresso makers on our list, you get a surprising amount of features for under 200$. The machine will work with both ground beans and espresso pods and offers three settings: steam, hot water, and make coffee. It also includes a steam wand for lattes and cappuccinos. This Cuisinart espresso maker features a large cup warmer tray and an easy to fill water reservoir, although it’s not as large as some of the other models on our list. It’s also an attractive, classic, stainless steel espresso machine that won’t look out of place on your countertop. 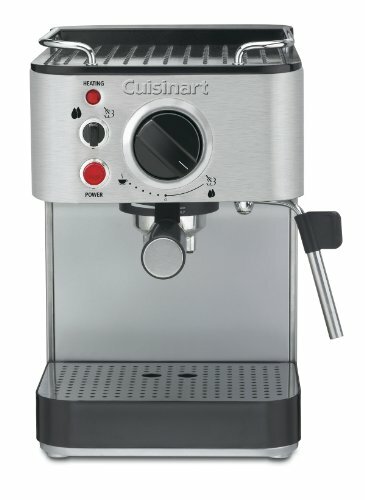 I will say this particular Cuisinart espresso machine takes a bit of experimenting to get a perfect cup of espresso, but for the price, it’s a solid little machine for entry-level users. Verdict: A solid entry-level machine for those who aren’t yet ready to make the investment in a top of the line espresso machine. Serious espresso addicts know if you want a great cup of coffee you have to start with perfectly ground beans. The common knowledge is you have to buy a separate top quality coffee grinder and grind your own beans, but then you lose the convenience of an all-in-one espresso machine. Enter the perfect combo – The Rancilio Silvia M V5 with the Rocky Espresso Grinder on its own unique base. Rancilio has been making some of the top espresso makers on the market since 1927, and now their commercial-grade quality is available for your own home use. The Rancilio Silvia espresso machine has a commercial grade group head for superb heat stability and extraction quality and an ergonomic portafilter; the same one they use in their commercial espresso machines. The articulating steam wand is another attractive feature, not often seen on home machines. 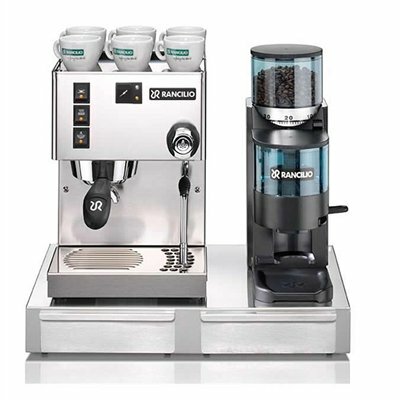 The Rancilio espresso machine is available separately but what makes this particular combo truly special is the inclusion of Rancilio’s Rocky espresso grinder (also available separately) and the perfectly designed base. It’s like having a cafe espresso bar in your own home. Verdict: If you are looking for a heavy duty home espresso machine with grinder included, the Silvia is one of the best prosumer espresso machine and grinder combos you can buy. 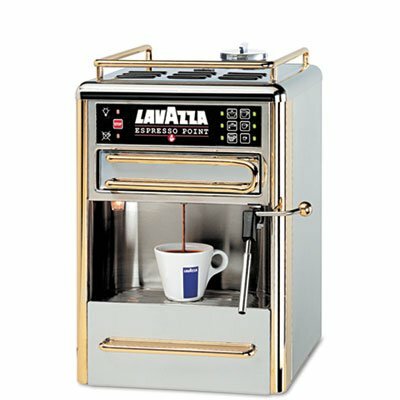 If you’d like some control over your morning espresso this semi automatic espresso machine with grinder will give you flexibility over your perfect cup for years to come. There’s a vast range in price between our best at home espresso maker and our best affordable espresso maker, so what happens if you’re looking for something in between? If you want a decent espresso machine with steamer wand included, the Capresso Ultima Pro may be the machine for your needs. 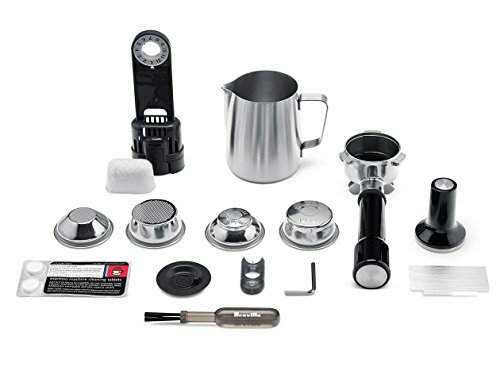 This programmable espresso and cappuccino machine comes with 2 cups and saucers, a stainless steel milk pitcher and a handheld frother for perfect cappuccino drinks. The bright illuminated buttons make this machine easy to use and the self-tamping portafilter includes two 58mm sieves for 1 or 2 cup options. There is a hot-water feature if you enjoy Americanos or want to enjoy a hot cup of tea and the machine shuts off automatically after 30 minutes to save energy. Verdict: An excellent entry-level machine if you’re willing to invest a bit more than the best inexpensive espresso maker on our list. 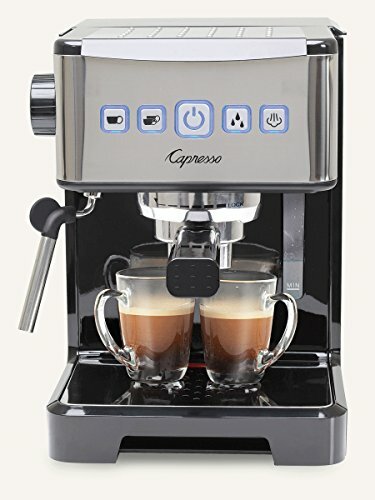 The Capresso Ultima Pro offers a great compromise between quality and affordability. The Anima Prestige does it all. In fact, if it could iron my husband’s shirts, I’d marry this Gaggia espresso machine. Well, maybe not; but it is an incredible superautomatic espresso maker. If you don’t want to think about every aspect of your caffeine fix (and let’s face it, who has time for that), the Anima Prestige does the thinking for you. The Gaggia Classic espresso machine was voted “best cappuccino maker 2016” and the Anima Prestige has the same excellent Italian build quality and design with even more features and control. Verdict: This may just be the best one-touch espresso machine available, and it is certainly worth the investment if you want the ease of push button control combined with total control over programming. Sometimes it’s best to do one thing and do it well. If you want a machine that simply makes a reliable shot of espresso every time, the Jura Ena Micro 1 does espresso very well indeed. This Jura espresso machine is ultra-compact and looks gorgeous – and the best part is you get bean-to-cup espresso at the touch of a button. For a machine so small, it’s surprising to see a multi-level grinder and control over bean and water concentration. In fact, you get the small size and simplicity of a pod-style espresso machine with real espresso perfection. Verdict: The Ena Micro 1 is the best home espresso maker for folks who want a reliable espresso without all the bells and whistles. This is a beautiful, sleek, small machine that produces an excellent espresso tailored to your preferences. It may also be the best value espresso machine on our list. First, let’s be clear – a true stove top espresso machine doesn’t actually exist. These are known as Moka pots. The coffee made from a stove top espresso maker isn’t true espresso because it’s not made under enough pressure. That said if you want a small, reliable, low-tech coffee maker invest in a Bialetti. I had bought my first Bialetti before we left Belgium to motorhome around France. It was perfect for our needs at the time. (i.e. it didn’t require any power, was small, easy to use and clean, and made a great cup of coffee.) When I moved to Canada (temporarily, I thought), I bought a different Moka pot. I chose it because it had a beautiful design and was red – my favourite colour. I immediately regretted my choice. It may have been slightly cheaper than the Bialetti but it leaked like crazy, and the coffee wasn’t nearly as good. Luckily, I was able to retrieve my original Bialetti from Europe, and we’re still using it three years later in our Canadian motorhome. The Bialetti espresso maker comes in various sizes from 1-12 cups. The version shown above is the 6-cup, which is the Moka pot I have. It makes a standard North American mug of very strong coffee. If I add boiling water we get 2 decent sized Americanos. I have the original stainless steel version (but if I was buying a new one I’d choose the red one pictured). In addition to the stainless steel and red versions, you can also choose orange, blue, or purple. The Bialetti Moka pot was patented in the 1950s, and the Italian company has since produced over 200 million Moka pots – so they know what they are doing. If you are going to invest in a stovetop espresso machine, make sure it’s a Bialetti. Verdict: If you want a stovetop espresso maker, anything other than a Bialetti Moka pot is just throwing money away. 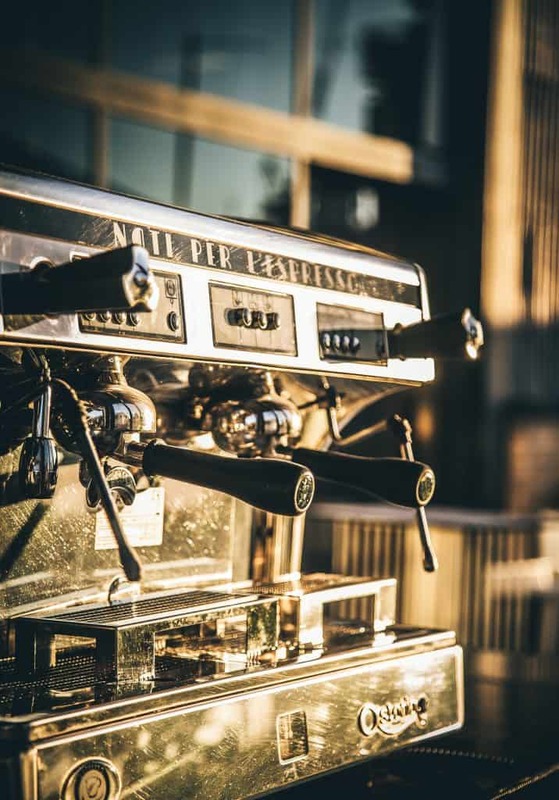 While this buying guide is primarily to review espresso machines for home use, we couldn’t completely ignore the top rated commercial espresso machines. Even the best rated home espresso machine isn’t up to the challenge of pulling hundreds of shots of espresso a day. If you own a restaurant, cafe, or catering business, the fact is, you need a commercial espresso maker. La Pavoni is a classic espresso machine manufacturing company in Italy, established in 1905, known for quality and durability. The PUB EM model is a great compromise between portability and durability, making it the perfect choice for a catering business. This semi-automatic commercial espresso machine can handle 150 cups per day and still only weighs in at 64lbs. This version has a large pour-in water reservoir making it truly portable. However, if you’re not going to be transporting your machine, there is also a version that connects directly into your plumbing. Verdict: If you have a small cafe or catering business and are looking for a great commercial automatic espresso machine, look no farther than La Pavoni’s PUB line. This little Nespresso espresso machine is near and dear to my heart. We used Nespresso’s pod espresso machines for many years when we lived in Belgium. The country’s extremely hard water was murder on appliances and we went through a number of machines over the years. I can say without reservation, the Nespresso Pixie was and is the best espresso pod machine on the market. This tiny machine takes up very little counter space and it looks great too. It comes in a variety of colours and the metal body is durable and stands up to abuse. It is extremely easy to use, shuts off automatically after 9 minutes and you can adjust the water output amount to your liking. If you enjoy milk in your espresso drinks, you can add on the Nespresso Aeroccino Milk Frother for quick and easy cappuccinos and lattes. Verdict: If you want a pod espresso machine that looks great, takes minimal space, and is easy on your budget, the Nespresso Pixie is the perfect machine for you. As someone who travels for a living I can say without hesitation hotel coffee is usually terrible. I can’t count how many times I wished I could have my own personal espresso shot maker stashed in my purse. With the new Staresso portable espresso maker now I can. This little gadget is perfect for coffee on the go. It’s so small, it fits in the palm of your hand. All it takes is boiling water, ground coffee, and a little muscle and you can have an instant espresso shot. You can even do cold brew or add milk for on the go cappuccinos. 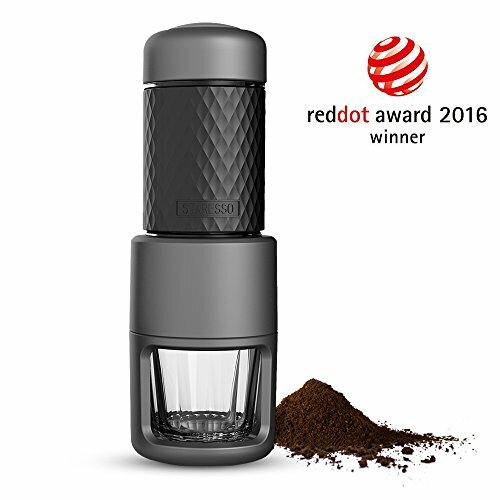 The beautiful and innovative design won the Red Dot Award in 2016. Verdict: Will the Staresso replace your household espresso machine? No, probably not. But if you like to travel, camp, or have access to great coffee on the go, this beautiful little unit is the perfect gadget. There are some espresso aficionados who believe you can only get a great brew if you pull it yourself on a lever espresso machine. If you are more interested in the ritual of making espresso than instant gratification, La Pavoni’s PPG-16 is for you. This is the best professional espresso machine for home use available on the market and, let’s face it, it looks simply stunning. The large 38 oz brass boiler can pull up to 16 cups while still having a small footprint on your countertop. Choose from the manual wand or automatic frothing adapter to steam your milk. Verdict: This machine is for people who want to make a lifetime investment in both an espresso maker and in learning how to make their perfect shot. It will take some time on your part to master this machine. But with patience and trial and error, you will learn how to pull the best espresso you’ve ever tasted and you’ll look great doing it. Does the coffee station in your office always look like a bomb just went off? Is the coffee always terrible because your co-worker ‘Simple Bob’ can’t make a decent cup to save his life? Are you sick getting stuck scrubbing out the machine because no one else bothers to clean it properly? If so, it’s time to buy your office a Nespresso machine. 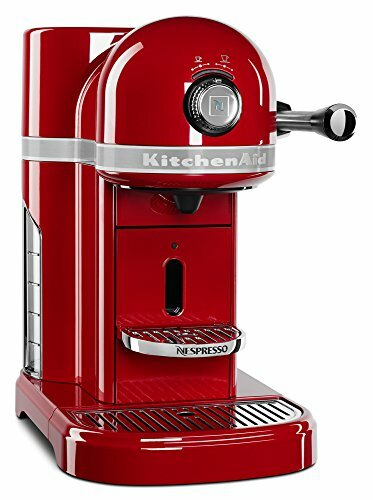 Nespresso is known to have the best capsule espresso machine on the market (my personal favourite is the Pixie listed above) and Kitchenaid is known for their high-quality and beautiful appliances. So it stands to reason if you combine the two, good things will happen. Enter Nespresso by Kitchenaid. This Kitchenaid espresso machine has beauty and simplicity in mind. It’s so easy to use, I’ve chosen it as our top office espresso machine. Yes, even ‘Simple Bob’ can figure this one out. Just select your Nespresso capsule and drop it in, select your brew strength, and press the button. The Kitchenaid comes in a variety of colours, all with the same all-metal, die-cast construction for durability. Verdict: This is a solid, well-built machine easy enough for everyone in the office to use. Plus, it looks so beautiful you’ll want to take it home with you. If you love your lattes but don’t want to mess around with steam and frothers, the De’Longhi Nespresso Lattissima Pro is simply the best automatic latte machine for home use. Many of the espresso machines listed above will make a great latte too, but the Lattissima Pro is designed with milk in mind. 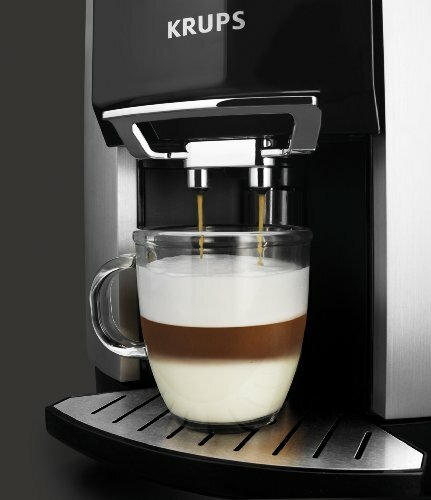 The patented De’Longhi Automatic Latte Crema System froths your milk to perfection at the touch of a button. Cleanup is just as simple with the auto-cleaning milk carafe that releases a 15-second stream of steaming water through the milk wand, sanitising it for your next use. The Lattissima Pro has the same quality build and ease of use you’d expect from Nespresso, with DeLonghi’s Italian flare. It has a compact, stainless-steel body and digital touch screen that will look right at home on your modern countertop. The Lattissima Pro was voted the “best home latte machine 2016” and with all its features it’s easy to see why. This impressive unit doesn’t just do lattes, though. You can choose from 6 pre-programmed drinks (ristretto, espresso, lungo, cappuccino, latte, hot milk and hot water for tea). Verdict: If you love lattes and want the simplicity of Nespresso’s push button capsule system, the Lattissima Pro is a clear choice. 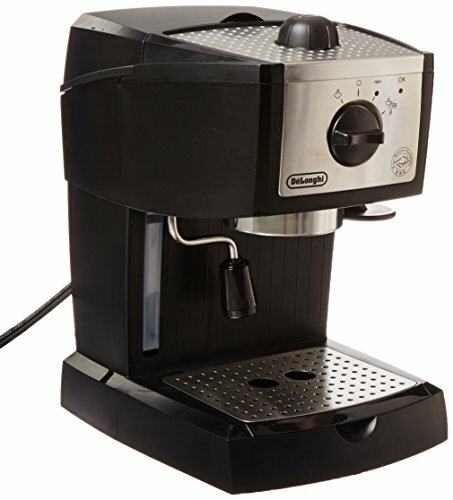 If you’ve read through our entire list of espresso, latte, and cappuccino maker reviews you’ve already seen the name DeLonghi pop up a few times, particularly in the best home latte machine above.The Latissima Pro is a perfect choice, ff you’re looking for a great capsule cappuccino machine. If you’d prefer a classic espresso cappuccino machine, then the DeLonghi EC155 is the machine for you. With its patented dual-function filter holder you can choose between ground coffee or pods depending on the level of control you desire. The EC155 does most of the work of making a great cup of coffee for you. Its two separate thermostats, which allow water and steam pressure to be controlled separately giving you precise temperature control. The swivel jet frother gives you total control over your cappuccinos making this the best home cappuccino maker for budding baristas. Verdict: This is a classic espresso machine that makes consistently great cappuccinos and offers the flexibily of using both ground coffee and coffee pods. This wraps up our list of the best espresso machines for home, work, and travel. If you still can’t decide on the perfect machine, make sure you read our in-depth reviews of espresso machines which we update frequently. If we’ve missed your favourite machine, drop us an email and tell us about it so we can include it in future updates. Top espresso maker reviews of the best espresso machines for sale today. We compare espresso machines from budget options to commercial machines. EspressoMachineAddict.com participates in the Amazon Services LLC Associates Program, an affiliate advertising program. If you click on a link to an Amazon.com product, we may earn an advertising fee from your purchase.